This new venture combines Hughes expertise as the global leader in broadband satellite networks and services with Yahsat’s position and knowledge as the leader in satellite broadband solutions across these regions. Hughes will purchase a minority interest in the venture. Al Yah satellites on orbit. Masood M. Sharif Mahmood, the CEO of Yahsat, said that the partnership with Hughes plays a significant role in Yahsat’s growth story and serves as an important step in achieving the company's vision to providing global satellite broadband services to individuals, communities, governments and businesses in unserved and underserved communities. 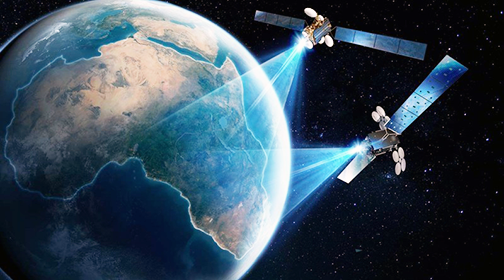 Yahsat’s remarkable track record and experience in operating YahClick, combined with Hughes technology leadership and experience, are a winning proposition to unlock the mass market potential of satellite broadband services across the region. Mahmood is very pleased to see the firm's longstanding partnership with Hughes as a supplier over the years now advance to this strategic and very important joint venture for Yahsat. Pradman Kaul, President of Hughes, added that Yahsat has been a valued customer for many years, incorporating the company's JUPITER System and operating expertise into their services. This next step in this beneficial relationship is a natural evolution that builds on the firms' shared commitment to connecting the unconnected and reflects the company's strategy to partner with leading providers around the world. The Hughes investment in this venture will expand the company's presence in Africa, the Middle East and southwest Asia markets, where broadband demand is expected to grow exponentially during the coming years.